A great QSC package for your single act or for practice. Don't let the size fool you because the QSC K8 speakers have plenty of sound and coverage. The best part is the clarity so your audience hears every note. 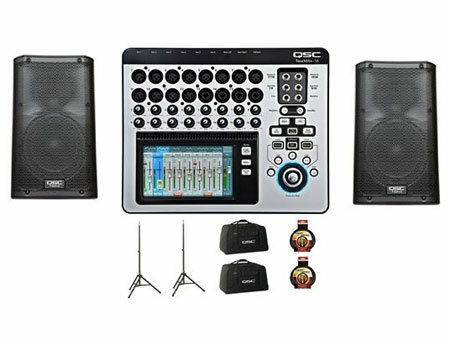 The QSC TouchMix-16 compact digital mixers are designed for musicians, production professionals and live performance venues that need the power and capability of a large concert mixing console in a compact, affordable and easy to use form. 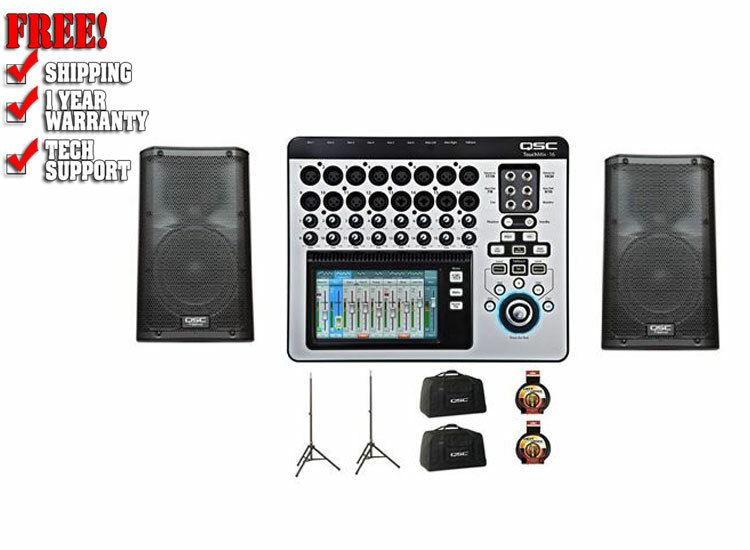 The TouchMix-16 mixer has the functionality to satisfy demanding professionals combined with a range of features and functions that help the less experienced user achieve quality results. The TouchMix DAW Utility is available for free download from the QSC website! The TouchMix DAW Utility is a software application for TouchMix owners who also use DAW (Digital Audio Workstation) software for music recording and production. It enables and simplifies two-way migration of digital audio wave files between TouchMix and DAW software. The TouchMix DAW Utility runs on Windows and Apple computers. The QSC TouchMix Series represents a breakthrough in innovation and digital mixer design - the result of a remarkable collaboration between QSC and industry icons Greg Mackie and Peter Watts (M&W Pro Audio Ltd.) TouchMix not only resets the bar for performance and value, but also redefines the user experience for both professionals and novices alike.